Now that Captain Marvel is out and tearing up the box office, it's time to turn our attention to the other new Marvel movies coming soon. In case you've been living under a rock for the last year, next up is Avengers: Endgame, which promises to end the MCU as we know it before we head into Phase 4 with Spider-Man: Far From Home. After that, Marvel Studios is remaining tight lipped about its plans, so we don't have any new Marvel movies confirmed for 2020 onwards. That said, we do have some announced movie release dates and word from Marvel Studios boss Kevin Feige on which upcoming movies are planned, including a Black Widow movie, The Eternals, Black Panther 2, and more. Of course, the other big news is that James Gunn is back to direct Guardians of the Galaxy 3! After the director was fired by Disney last year there was an outpouring of support for the writer-director from the cast and fans of the Guardians movies, and it seems to have worked with Disney recently reinstating Gunn. However, this has pushed the proposed Guardians of the Galaxy 3 release date back by quite a bit as Gunn has now committed to making Suicide Squad 2 for Warner Bros. first. Basically, there's a lot going on at Marvel Studios post-Phase 3, so read on if you want to get the lowdown on all the new Marvel movies we know about, and some we don't. Best Marvel movies | Watch Marvel movies online | Best Marvel Easter eggs | How long do all the Marvel actors have left on their contracts? Although Marvel have done an excellent job keeping details under wraps, we've now had three trailers (the first Avengers: Endgame trailer, the Super Bowl trailer, and the third and maybe finale Avengers: Endgame trailer), which hints at what's to come. 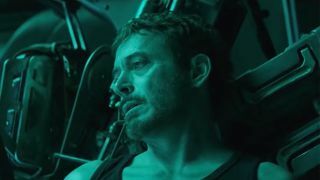 All three trailers paint a very bleak picture of the world post-Snap with Cap crying, Tony lost in space, and Hawkeye gone rogue. There is a glimmer of hope though, as we know from the most recent trailer that Cap and co have a plan to fix things and Captain Marvel has joined them. Despite directors the Russos trying to convince us otherwise, it's safe to say at least some of those who died in Infinity War will be back - they have sequels planned after all (more on that below) - but not everyone will be making it out of Phase 3 alive with the Russos confirming that "it's an end for some of these characters". After the "finale" to end all finales, Feige promises Phase 4 will kick off a new era for the MCU - and it's starting with a sequel to one of the best movies of 2017, Spider-Man: Homecoming. Up until recently, we didn't know much about the sequel other than the fact it was happening and a placeholder release date, but with Phase 4 now in sight, we have an official title and a first look trailer. As for the elephant in the room - the fact that Peter died at the end of Infinity War - opinion is divided on whether Far From Home is a prequel set between Homecoming and Infinity War or if something major is going to happen in Endgame to bring him back. I guess we'll have to wait and see. As for the rest of Phase 4, Marvel Studios has plans for three, currently-unannounced new Marvel movies in 2020, but it hasn't revealed what they'll be yet. Originally, there was talk of Guardians of the Galaxy Vol. 3 taking one of these slots, but with Gunn's departure production was pushed back to 2021, and now that he's back it's looking like it could be even later as he needs to make Suicide Squad 2 first, which is tentatively scheduled for August 2021, according to THR. There's a possibility that one of the 2020 release dates will be snapped up by the solo Black Widow movie, which is reportedly set to start filming this March. The Black Widow movie has been rumoured/in-development for years, but with the appointment of Cate Shortland as director it looks like it's finally happening. We know very little about it at the moment, but the rumours suggest that it will be a Black Widow origin story set before the first Avengers movie. Marvel Studios has also earmarked three other dates for new Marvel movies in 2021, but, again, we've no idea what they are. That said, this might be a good time for Black Panther 2, which is all but officially confirmed at this point. THR is reporting that Ryan Coogler is back to write and direct, but the most recent news on the sequel is that Michael B. Jordan is returning as Killmonger, which, if you've seen the first film, will come as a bit of shock considering the finale. We could be getting Doctor Strange 2 in 2021, which Feige recently confirmed "we will do," but "it will be a number of years from the first Strange". A 2021 release would fit this statement by putting the Strange sequel five years after the first film's release, but all we know so far is that Scott Derrickson is back to direct and C. Robert Cargill is on screenwriting duties. As for the final 2021 release date, how about Marvel's first Asian superhero movie? The studio confirmed it's working on Shang-Chi movie back in December 2018 and with Destin Daniel Cretton recently signing on to direct word has it that Marvel is fast-tracking this new Marvel movie. While you've probably never heard of the Hawaiian-born filmmaker before, he directed Captain Marvel herself, Brie Larson, in Short Term 12, The Glass Castle, and is currently directing her in Just Mercy, which also stars Black Panther’s Jordan! Then there's the three 2022 release dates as well! Honestly, these are so far away and so dependent on the new Marvel movies that come before them, that I'm basically just guessing, but... it's looking like this might be when we finally get Guardians of the Galaxy Vol. 3 after all the back-and-forth over Gunn directing. We already knew that Gunn's original GOTGS script (which reportedly made some people cry!) would be used even before he was back at the helm, but other than that, all we really know about the new Marvel movie is that it's now majority delayed and the working title is Hot Christmas.